Just as the Engine Committee Meeting was wrapping up, Company 26 was dispatched to a vehicle accident standby. The call was quickly upgraded to a vehicle accident with entrapment. Captain 26 arrived and reported a vehicle through a house with one patient confined in the vehicle. Crews from Rescue 26 and Engine 26-1 worked to free the trapped occupant and secure the utilities in the house. 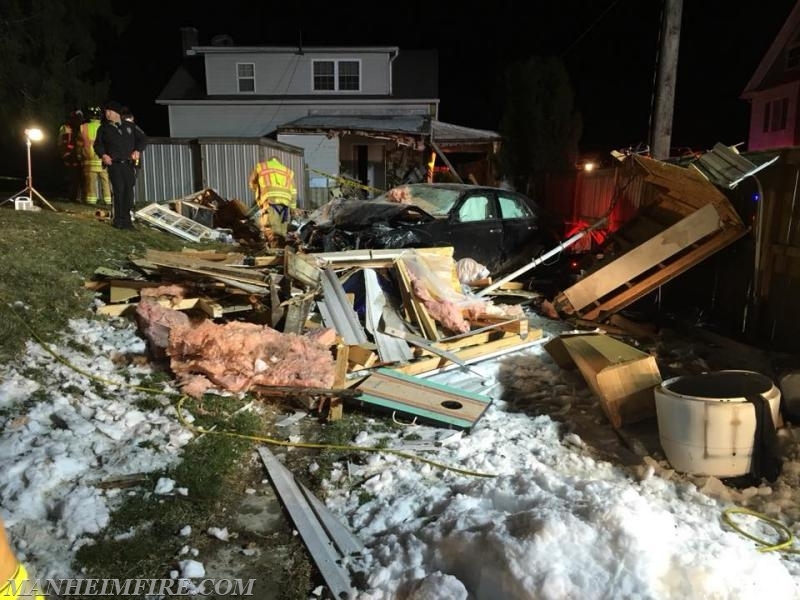 Due to the extensive damage done to the house, Lancaster County Rescue Task Force was dispatched to assist with securing the house. Crews were able to help rescue two cats for the occupants and to remove some essentials from the house until a salvage company could assist the homeowner in recovering the remaining possessions.